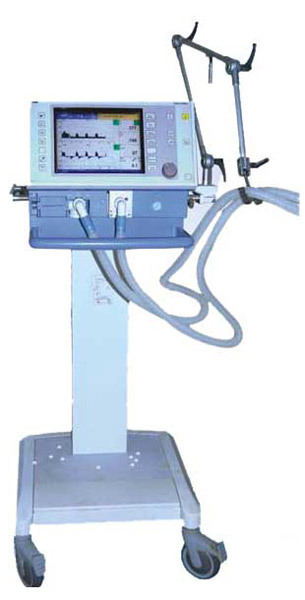 The Drager Evita 4 is a ventilator for every patient. The Refurbished EVITA Ventilator was designed to meet the demanding requirements of the ICU environment by improving the interactions between patient, ventilator, and clinicians. The functional touch screen continually provides the clinician information on ventilator settings, patient measurements and advanced trending capabilities which enhance the operation of the device. Unique features and modalities such as Auto Flow and APRV are standard on all EVITA 4 ventilators. One Refurbished EVITA Ventilator for every patient population:-Neonatal, Pediatric, Adult- EVITA 4 can be used to ventilate any patient category, reducing the amount of staff training required and ensuring greater resource flexibility. The neonatal option, Neo Flow, offers flow measurement at the Y-Piece for precise volume and leak monitoring with accurate, responsive triggering to patient effort.